I have a confession to make, Universal Studios Singapore was my first legit theme park experience. Yes, I haven’t been to Enchanted Kingdom or Star City but I visited Carron Dream Park in Nueva Ecija during a familiarization tour. Considering the facilities, having your first theme park experience outside the Philippines is indeed more exciting. With that, I’ve listed down the must-rides in Universal Studios Singapore. The only thing that encouraged me to push my plans of visiting the theme park were the rollercoaster rides. 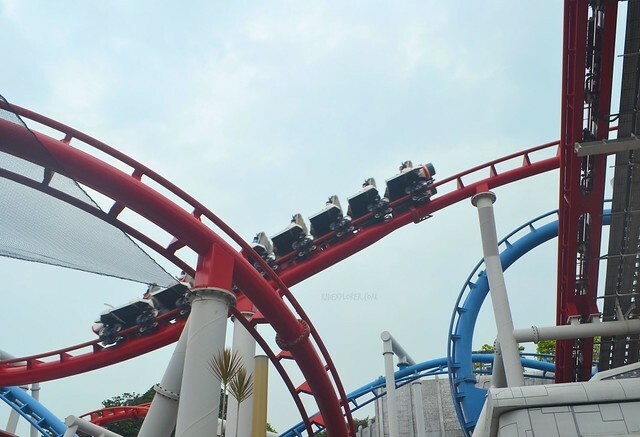 I heard that Battlestar Galactica, the pair of rollercoasters of Universal Studios Singapore, is the tallest dueling roller coaster in the world. 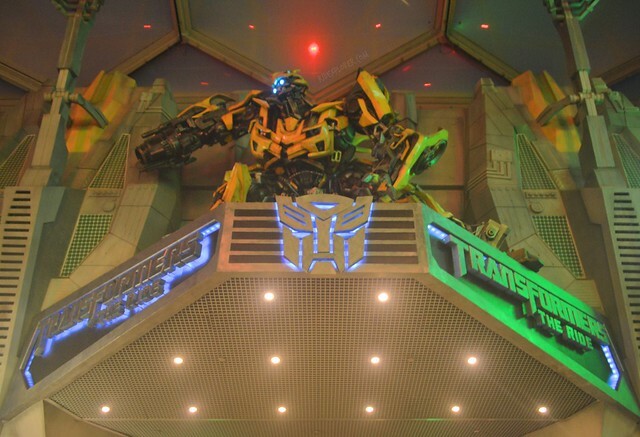 Apart from it, the Transformers: The Ride gets a lot of commendation. Since I got my Universal Studios Singapore passes from Klook, I skipped the long line to the ticket counter and started my own adventure. My colleague’s narration sold me the Transformer ride. The moment I entered Universal Studios Singapore, I instantly made my way to Sci-fi City and look for a Bumblebee figure. Everyone had the idea to ride Transformers first, creating a long queue of parkgoers. It was late for me to notice the single rider lane and I already suffered two hours on the line. The line enters the NEST Headquarters with few reminders on the walls about what to expect on the ride. Transformers related items and monitors are everywhere that make the waiting experience less boring. If you reach the section where 3D glasses are being distributed, then you’re just some sashays away from the actual ride. Join the Autobots on their quest to protect humanity from the Decepticons. Enjoy the thrilling 3D ride with Evac, a stealth/transport specialist. The best part of the 4-minute ride is the vertical drop from a skyscraper. During peak hours, prepare to endure long hours on the line just to get to the platform for either the Human or Cylon rollercoasters of Battlestar Galactica. The dueling rollercoasters of Universal Studios Singapore are launched at high-speeds compared to the usual chain lift for coasters. 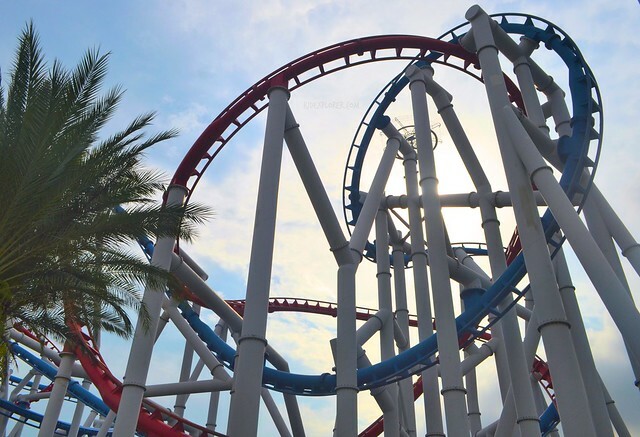 Blue track is for the Cylon, a suspended coaster with the legs of the riders freely hanging during the intense ride. The track goes into a pit aside from the rolls, corkscrews, and vertical loops. Human or Cylon? Take your pick! The other coaster, on red track, is the traditionally seated roller coaster. For me, the Human coaster provided a more exhilarating ride compared to the Cylon. This was explained by more g-force applied on the Human track. Either of the two, expect a hair-raising experience and a wobbly feeling after the ride. 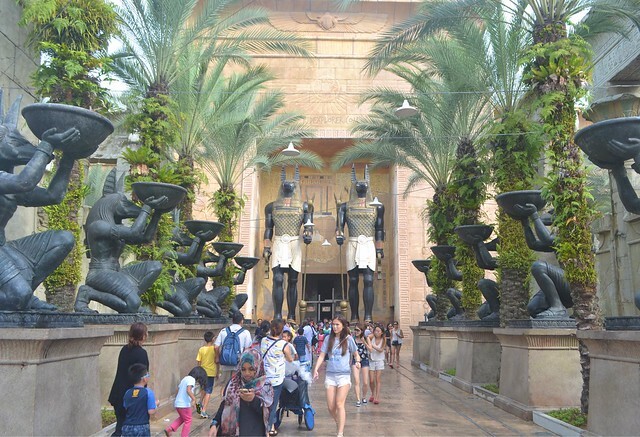 Revenge of the Mummy ride was underrated but topped my list of must-rides in Universal Studios Singapore. My discovery of the single rider lane allowed me to skip the winding lines to the attraction. The indoor roller coaster has tons to offer compared to the usual outdoor coasters. 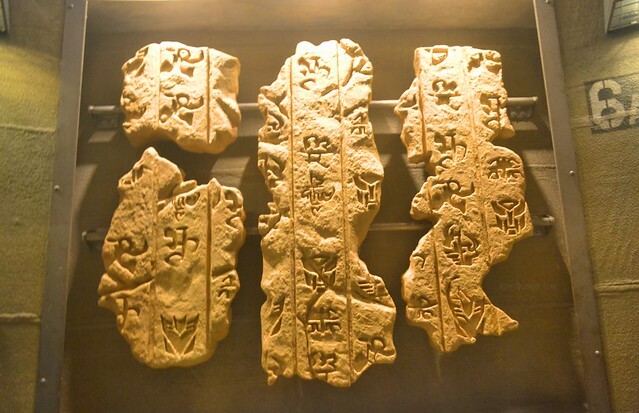 The ride is enclosed in total darkness with the goal to Find the Book of Living. It will continue before a sudden stop followed by a reverse drop. Apart from the adrenaline-charged swirls and drop, the ceiling of the attraction will be filled with flames as the ride goes back on track and before heading to the unloading platform. Get ready to be thrilled by the Revenge of the Mummy ride. Time to get wet. 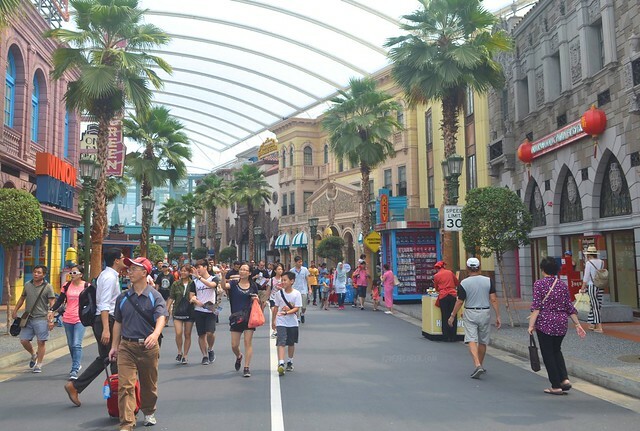 Jurassic Park is a big franchise of Universal Studios and it will be unusual to exclude it on their Singapore theme park. Theme park crews ask riders to bring a rain poncho or anything that could make them stay dry during the ride. I risked my items and my gadgets by riding the raft without anything to protect me from the water splashes. The ride starts on a usual tour around the Jurassic Park facility. However, a scenario forced the park rangers to announce about a breach at the dinosaur’s containment obliging the raft to enter a restricted area. The raft then enters the Hydroelectric Plant and shoved into an elevator where the ride ends with a large T-rex roaring before the raft dropping from a 40-feet drop. Water ride! 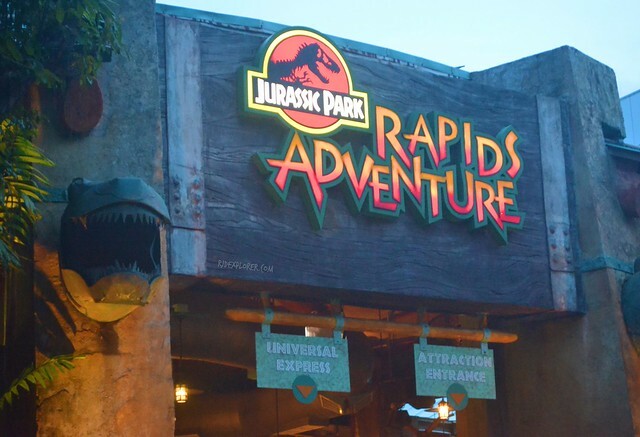 Jurassic Park’s Rapids Adventure. Last ride of my first visit at Universal Studios Singapore is the Madagascar Crate Adventure. The attraction is a water ride that reports the disappearance of Central Park Zoo’s characters on their way to Kenya. 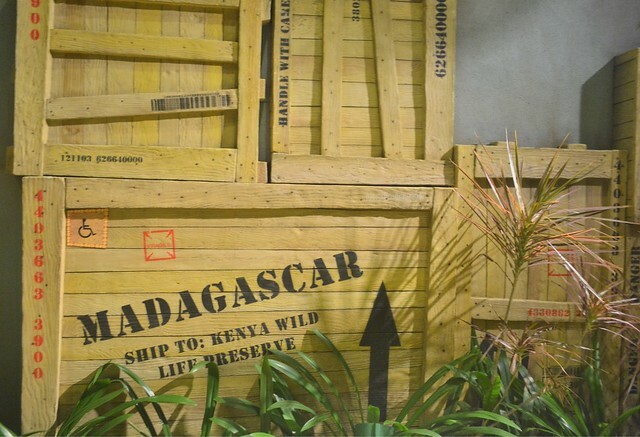 By the name of the attraction, the ride starts with several crates enclosing the Madagascar casts. Crates Adventure with the Madagascar cast and crew. The Penguins will then take over the raft and have swirls and turns of adventures. Before the ride ends, there will be a curtain of waterfall flowing directly on the track. This might make everyone on the raft panic but prepare for a great twist. It was a fun ride especially the upbeat music and colorful props during the ride. A great show using fire and water elements. 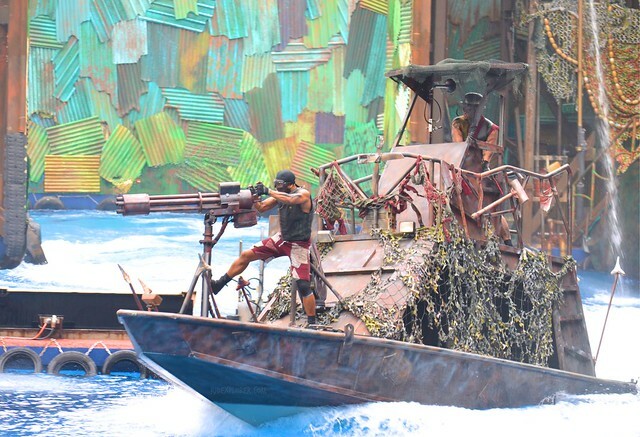 Other Universal Studios Singapore attractions and shows to consider are Waterworld, New York: Lights, Camera, Action, and Shrek 4D Adventure. If winding lines for major attractions bother you, you can try these mentioned attractions. 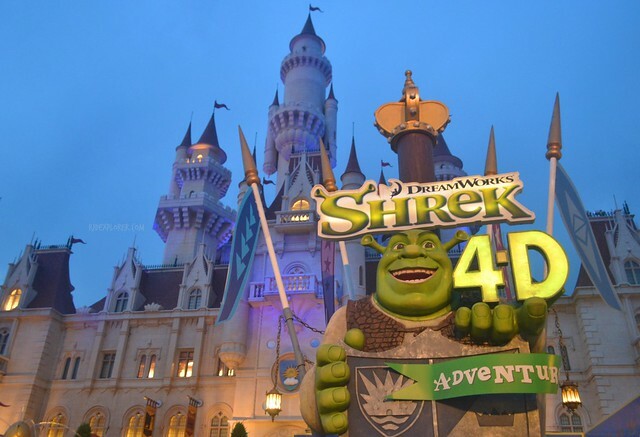 Need tips and tricks on your visit to Singapore’s must-theme park? Here’s a compilation of tricks on how to hack your way out of the crazy lines. What’s your favorite attraction at Universal Studios Singapore? Leave it on the comment section below!